As we approach the holiday season and #GivingTuesday, we hope that you will consider a donation to the Genetics Society of America (GSA). We rely upon your charitable contributions to promote a strong future for our field. GSA is the voice for those conducting fundamental studies in genetics and those working with model organisms from Arabidopsis to zebrafish. The Society represents the collective interests of the entire genetics community—spanning model systems, topics of interest, and research approaches—and serves as your voice in advocacy, education, public outreach, and so much more. We are especially committed to fostering the next generation of scholars in our field by promoting the careers of students and postdocs. GSA Undergraduate Travel Awards Fund – Supports the participation of undergraduate members of the Society to present their research at GSA conferences. Chi-Bin Chien Fund – Supports the Chi-Bin Chien Award, given to an outstanding graduate student, postdoctoral trainee, or recently appointed faculty member who has made significant contributions to the field of zebrafish research. You can also share the benefits of GSA by providing a gift membership to a colleague, trainee, or friend—or signing up your lab or department through the new group membership program. 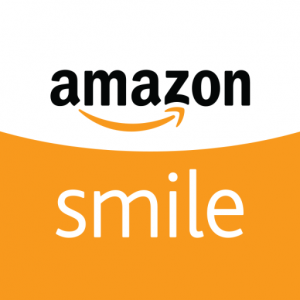 Finally, if you’ll be doing holiday shopping on Amazon.com, please support GSA through AmazonSmile. You’ll see the same prices and selection as always, but GSA will receive a small percentage of eligible purchases as a bonus. We thank you in advance for partnering with GSA in support of these valuable activities.